Lindisfarne Festival is back for its third year, and with a capacity of only 3,000 the stellar line-up promises an intimate weekend like no other. 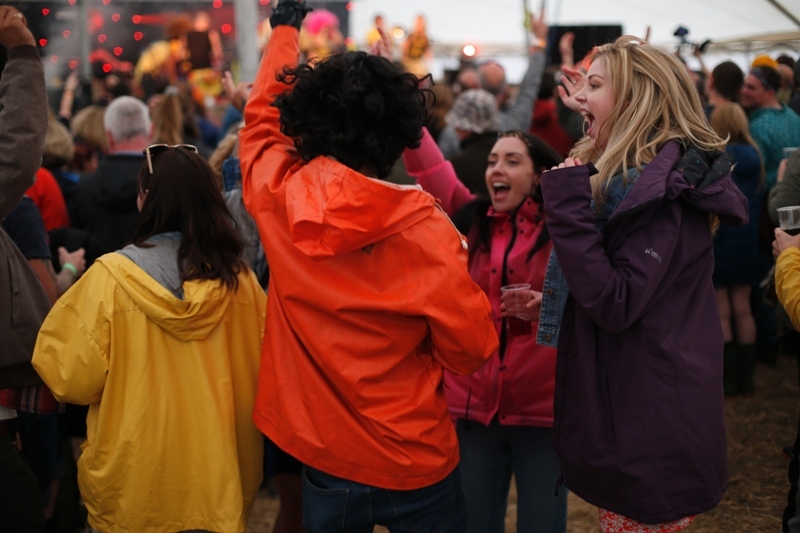 The music and creative arts festival takes place at Beal Farm, overlooking Holy Island to the East and Bamburgh Castle to the North, with previous line-ups including the likes of Public Service Broadcasting, Craig Charles, DJ Yoda and The Baghdaddies. Already, the festival has garnered a reputation for a balanced mix of indie legends, DJs and proper festival-y stuff like yoga sessions, spoken word, street food outlets, top comedians and entertainers as well as some of the nation’s most respected and alternative therapists – Lindisfarne Festival seemingly has something for everyone. This year, the line-up includes indie urchins The View and fellow Scots and fun time alternative rockers The Fratellis as headliners, whilst a Huey Morgan (Fun Lovin’ Criminals) DJ set should have something for everyone. Elsewhere, festival veteran and alt. folk singer Beans On Toast will add a surreal twist and rare groove legend Norman Jay, The Lancashire Hotpots, Too Many T’s and North East faves Smoove & Turrell are the other main draws. Further down the musical bill Bryde, Talk Like Tigers and Beth Macari will keep things varied, while Slipmatt is the big name heading up the DJ tent with many more acts still to be announced in the run-up to the festival itself. BBC Introducing will once again bring even more of the best upcoming talent from across the region to the festival, including a headline performance from Newcastle’s The Pale White, so readers of this magazine will do well to keep an eye out for some more familiar names announced over the coming weeks. With north-east hip-hop on a roll at the moment, there is inspirational (or serendipitous) scheduling by the organisers to include The Bridge: UK Hip Hop takeover. CoMusica Arches present an afternoon of grime, rap and hip-hop featuring Too Many T’s, Rick Fury and Mudfoot Blaps amongst others but crucially including Leddie MC, Rex Regis and Reali-T (whose Stay Tuned album is blazing a trail right now) to help keep up the momentum of this flourishing local scene. From fire & art installations to the Lindisfarne Graffiti Gospels and fantastic workshops to challenge our creative minds – there’s never any shortage of artistic and cultural delights whether you want to try your hand at a little music making, or learn some sizzling salsa moves. For those arriving early, don’t miss #ThrowbackThursday kicking off the festival on the Thursday night at the Viking Brewhouse and The Inspiredome, featuring Newcastle’s own Holy Moly & The Crackers. Lindisfarne Festival takes place at Beal Farm, Northumberland from Thursday 31st August to Sunday 3rd September.